At Busby Realty Group, our mission is to be the full-service answer to every real estate question. I only work with the best home service vendors in the city, and have spent years creating my little black book of go-to’s. Get all of my favorite home service vendors, in one handy list. Market trend: What happened to negotiating? Buyers: Are you considering all the neighborhoods you should be? My typical day, and how this working mama keeps it all together! 2018 Busby Realty Group | Design by Lauren Painter Inc.
BUSBY REALTY GROUP IS A TEAM OF REAL ESTATE AGENTS AFFILIATED WITH COMPASS REAL ESTATE. 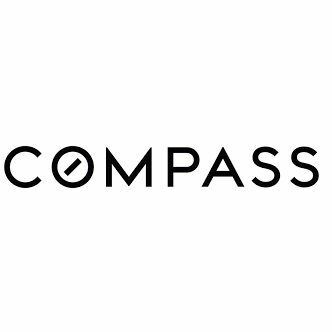 COMPASS REAL ESTATE IS A LICENSED REAL ESTATE BROKER WITH A PRINCIPAL OFFICE IN NEW YORK, NY, AND ABIDES BY ALL APPLICABLE EQUAL HOUSING OPPORTUNITY LAWS. ALL MATERIAL PRESENTED HEREIN IS INTENDED FOR INFORMATIONAL PURPOSES ONLY. INFORMATION IS COMPILED FROM SOURCES DEEMED RELIABLE BUT IS SUBJECT TO ERRORS, OMISSIONS, CHANGES IN PRICE, CONDITION, SALE, OR WITHDRAWAL WITHOUT NOTICE. NO STATEMENT IS MADE AS TO ACCURACY OF ANY DESCRIPTION. ALL MEASUREMENTS AND SQUARE FOOTAGES ARE APPROXIMATE. THIS IS NOT INTENDED TO SOLICIT PROPERTY ALREADY LISTED. NOTHING HEREIN SHALL BE CONSTRUED AS LEGAL, ACCOUNTING OR OTHER PROFESSIONAL ADVICE OUTSIDE THE REALM OF REAL ESTATE BROKERAGE.